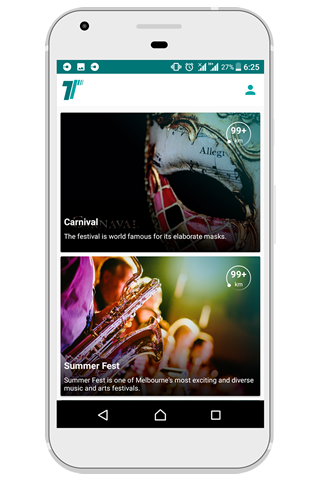 Enhance your event by providing your attendees a mobile application. 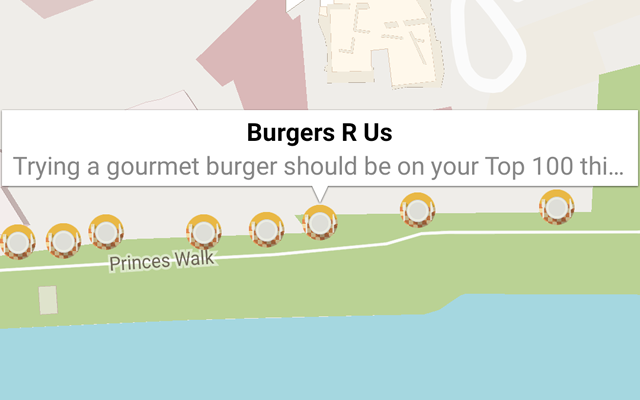 No development needed for your own event app. 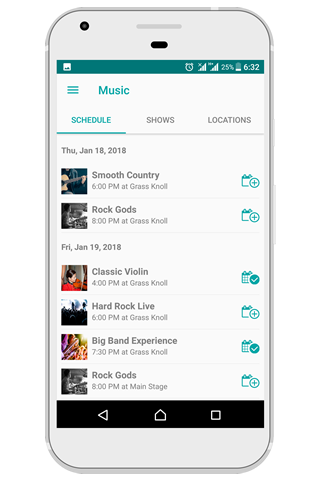 Re-use your existing data to feed the Thrum app and create an unique environment for your event. 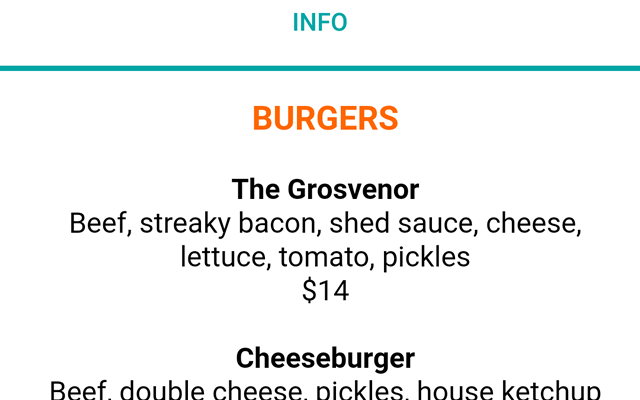 Save on printing costs, be able to make live last-minute changes and give your visitors an event guide they can use and participate in. Giving your attendees the best experience is key to the success of any event. Providing them with the right tool to enhance that experience will make you stand out in the crowd. 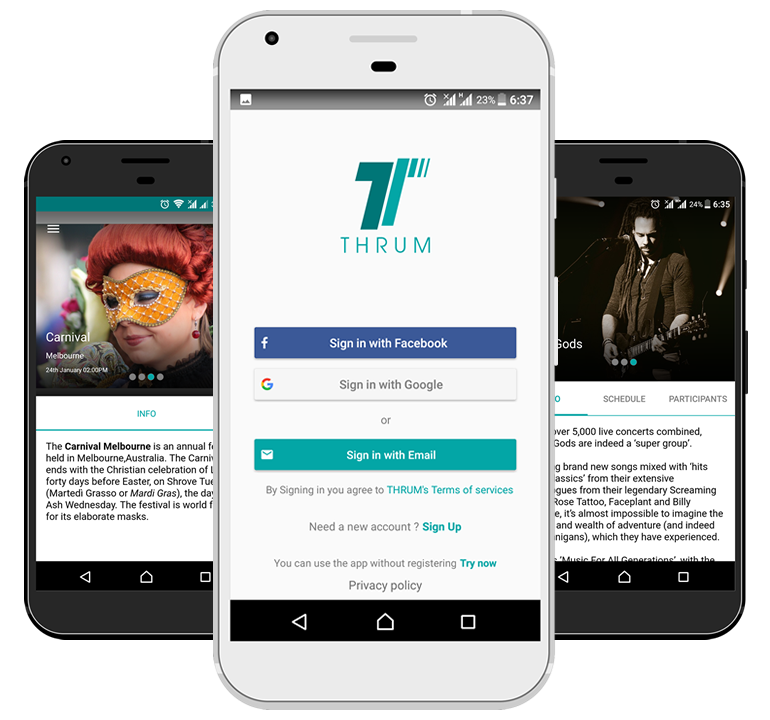 Whatever the event, Thrum will ensure your attendees have all the information they need via a mobile application so that they can experience all there is at your event. 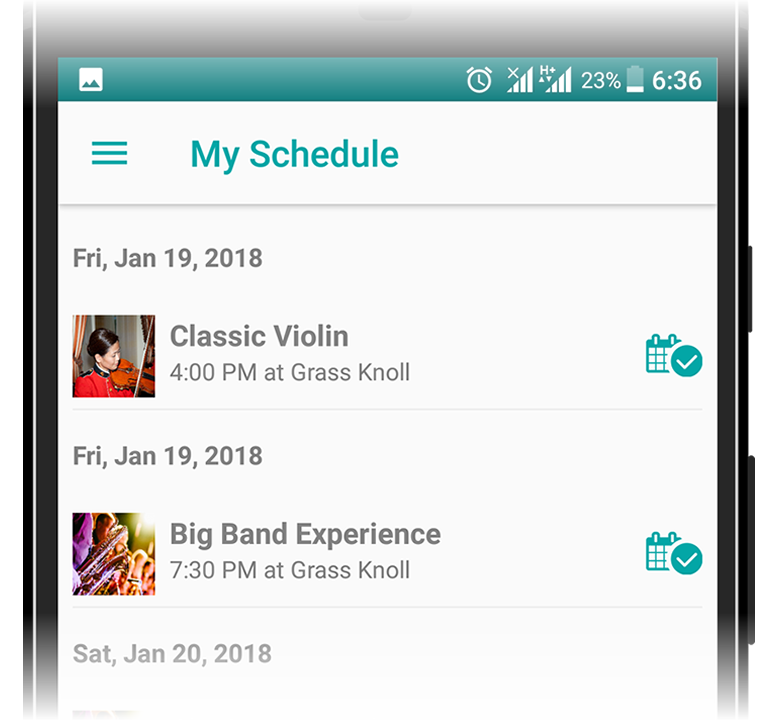 Keep your attendees informed about everything happening at your event through a mobile application. 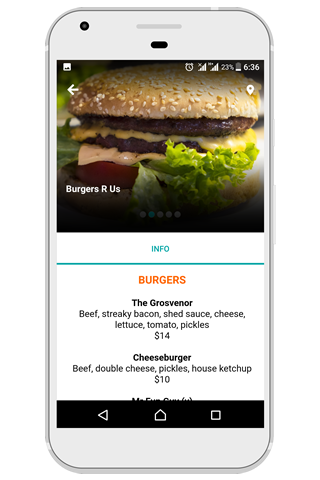 An interactive map on the app will allow your attendees to find what they are looking for quickly and easyly. 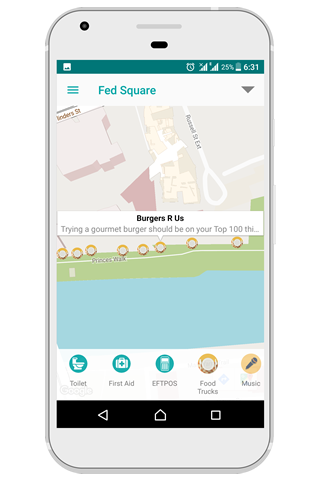 GPS enabling the map will help them navigate your event via the app. No need for paper handouts that need to be confirmed weeks ahead. 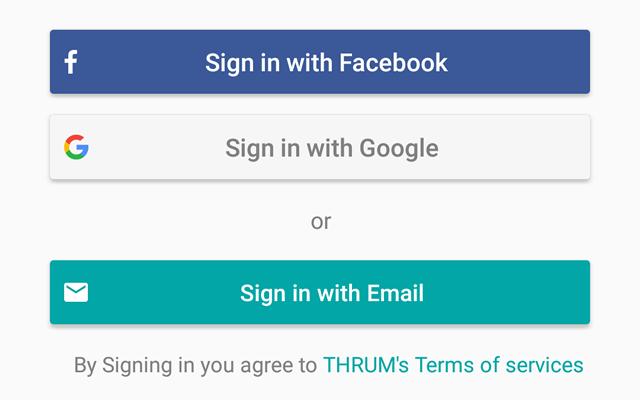 With Thrum, you can easily change the schedule or switch events. The changes you make will be published immediately. 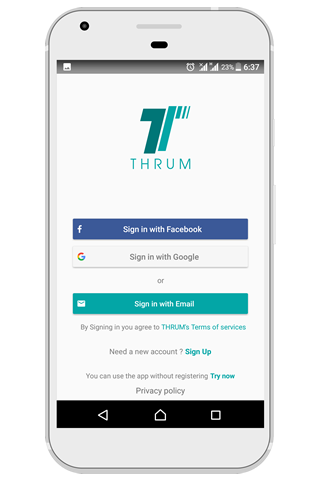 Thrum, the only event app you'll ever need. A screen by screen overview of the functionalities. Sign up and log in with your email od social media profiles. An overview of all the events, ordered by distance from your location. What is there to see or do? 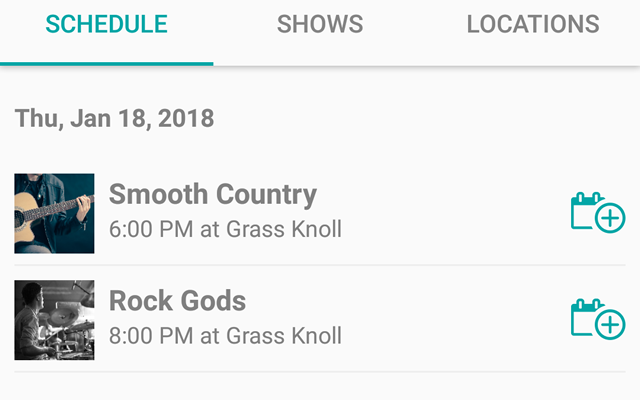 Comprehensive schedule of all the acts during an event with the possibility to add it to your personal in-app schedule. Event map with different overlays for amenities, stages, food courts, etc. All the 3rd parties in 1 comprehensive list. Pages can be food vendors drink stalls, souvenir vendors, sponsors, etc. 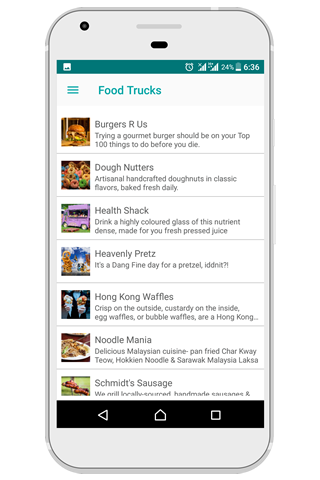 Each 3rd party has it's own page with a list of all the goods or services provided by them. Make your event bigger, better and more popular through the gained feedback..
Boost attendance through enhanced digital coverage and enabling real-time interaction via social media. 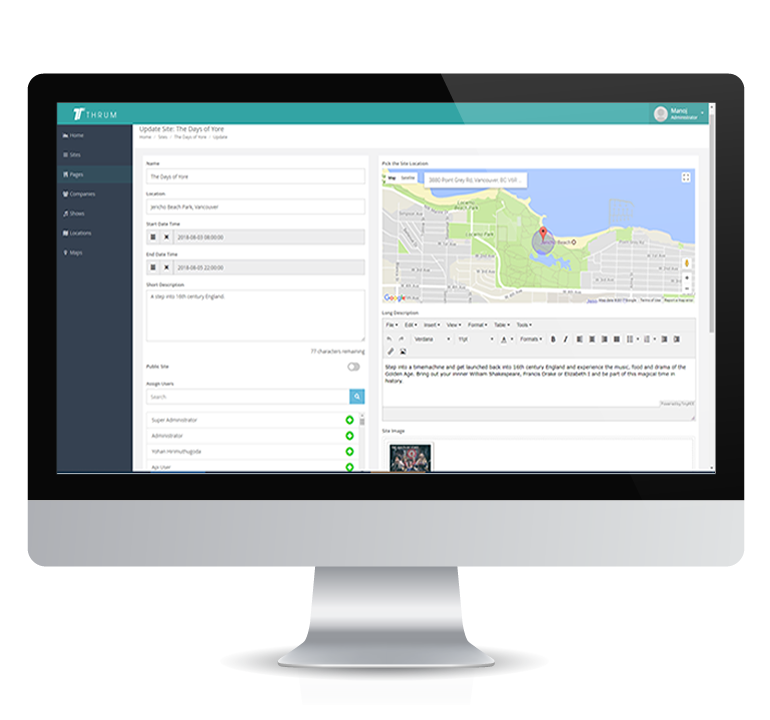 Get a live feed of all the social media activity related to your event in one spot. Promote the social element through our digital platform by tight integration with Facebook, Twitter and Instagram. Get all the analytics about how people are interacting with your mobile content. Publish a survey to gain insight into what your attendees think about certain aspects of your event. 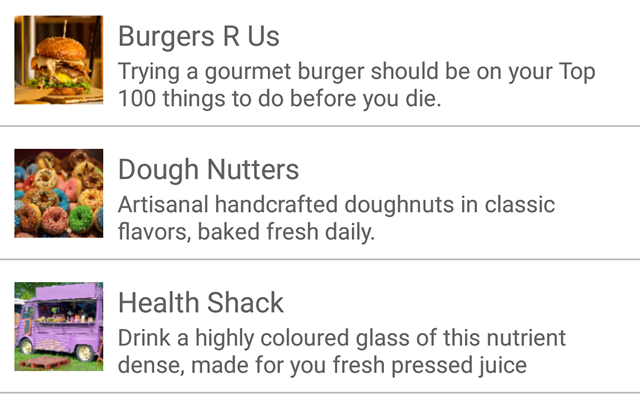 Customize surveys to suit your changing event needs. 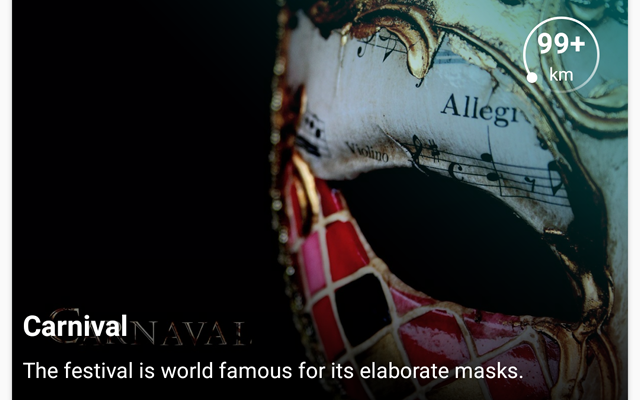 For more information, a demonstration or pricing, feel free to send us a message.